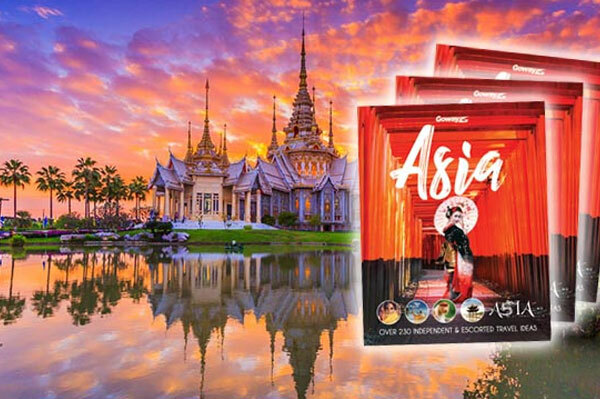 Goway has released its 2018 Asia brochure, inspired by the Asia Goway team, experts when it comes to tailoring the perfect experience, whether it’s walking the Great Wall, cruising Halong Bay, or getting caught up in the colour and chaos of India’s vibrant cities. The new brochure features more than 230 independent and escorted touring ideas, including relaxing beach getaways, “Stays of Distinction” for discerning travellers and Goway’s Holidays of a Lifetime. Along with India and China, adventure seekers are invited to discover Bhutan, the last Shangri-La, culture-rich Sri Lanka, or Myanmar as it slowly reopens to the world. Agents booking any Asia product by the of June will earn an extra $50 per booking on their Goway Rewards Card.